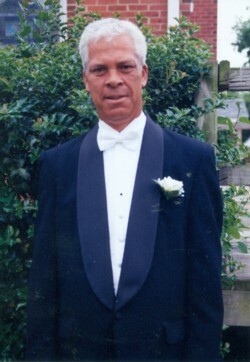 Obituary for Allen E. "Gene or Charlie Brown" Lewis | Thomas Funeral Home P.A. Allen Eugene “Gene or Charlie Brown” Lewis, 69, of Cambridge passed away on Friday, March 15, 2019 at Mallard Bay Care Center. He was born in Hoopers Island on January 25, 1950 and was a son of the late Dewey W. Walter and Agnes Lewis Walter. Gene attended schools in South Dorchester. On May 20, 2000, he married the former Patricia Blanchfield. He was a Hunting Guide and also worked at several fish houses. Gene loved hunting and fishing. He is survived by his wife Patricia Lewis of Cambridge, four children Anthony L. Hill of Federalsburg, Chris Hill of Cambridge, Jennifer Price of Cambridge and Tyler Burton of Cambridge, sixteen grandchildren, two sisters Linda Willey of Eden, MD and Connie Bell and husband Frank of Cambridge, two brothers Chris Walter and Douglas Walter, and numerous nieces and nephews. A funeral service will be held on Wednesday, March 20, 2019 at 12 noon at Thomas Funeral Home, P.A. in Cambridge. Family will receive friends one hour prior to the service. In lieu of flowers, memorial contributions can be made to Thomas Funeral Home, P.A., 700 Locust Street, Cambridge, MD 21613 to help defray funeral expenses.